For anyone who grew up during the 1950s, or anyone familiar with the music of the time, the term "skiffle" can bring a nostalgic sigh. Long before punk, it was the first DIY music; master three chords on the guitar, find a book of American folk songs and you could do it. It was, to all intents and purposes, the first British rock music, before electric guitars and drum kits began to dominate. In hindsight there seems to be an innocence about it, but at the time it was the sound of full-blooded teenage rebellion. Skiffle was actually an import that began in America in the 1920s, when the name was first used (according to one source, it was slang for "rent party"). However, it was only in the early 1950s it came back into use, a term that jazz band leader Ken Colyer used to describe the between-sets songs that some members of his band played. It certainly wasn't jazz and it wasn't folk either, although it took material from the folk and even the blues traditions. It was revved-up a bit and played for fun, as both a contrast and release to the jazz, a style that always went over well in performance, particularly with younger members of the audience. It really began to take off after trombonist Chris Barber left Colyer's band, taking singer Lonnie Donegan with him. They carried on the skiffle set, which became more and more popular, to the extent that Barber put two of the tunes, Rock Island Line and John Henry on his 1954 LP, New Orleans Joys. They were an immediate success, and the record company released Rock Island Line as a single. It made a star out of Donegan and unleashed the skiffle craze. The record stayed on the charts for a staggering eight months, the first really youthful music to hit Britain. What made skiffle so appealing was that anyone could play it. All you needed was a guitar (and the ability to learn three simple chords) and a bass made from a tea chest and a broomstick and you were in business. Buy yourself a book of American folk songs, play them fast and suddenly you were a skiffle group. 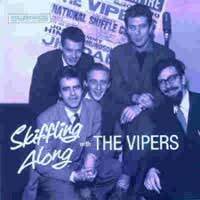 Many musicians who'd become huge stars in the 1960s began their musical careers playing skiffle. It was an easy way in, a way to make music as you learned and suddenly clubs all over were featuring skiffle groups, some good, some indifferent. Like so many fads, it had a limited shelf life and by 1958 it had faded into obscurity. Donegan was its big star, scoring several major chart hits while it lasted. But more important was the fact that it was British (Donegan's big song was also a hit in America, but skiffle never took off there, since it had to compete with the more aggressive rock'n'roll, which emerged at the same time). Quite simply, skiffle was no match for rock. Electric guitars could twang, the bass could rumble and drums could twitch it all along. Rock was new (or so it seemed) and the real raw music of rebellion. Skiffle faded, but it served its purpose, kick starting the careers of so many hopefuls (had it not been for skiffle, we might never have had the Beatles) and forming a transition from the adult music that started the 1950s into the rock'n'roll that dominated the end of the decade.